B. Douglas Robbins is a filmmaker and attorney from San Francisco. Robbins was a college debater for UC Berkeley in the early 1990s. He earned a B.A. in philosophy and spent the subsequent years writing a novel about intercollegiate debate. In 2001, he earned a J.D. from the University of Pennsylvania. By late 2004, he and Joseph Walling began working on the documentary that would eventually become Debate Team. 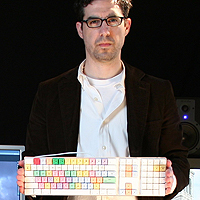 Robbins also founded The Media Law Group for the purpose of helping other independent filmmakers navigate the legal complexities of producing their own film.